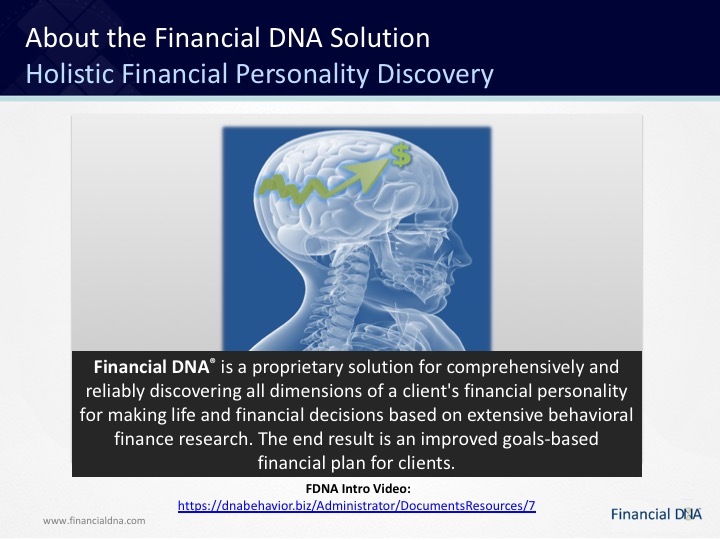 Learn about the Financial DNA Discovery Process below, which reveals your client’s financial personality. And start your journey. 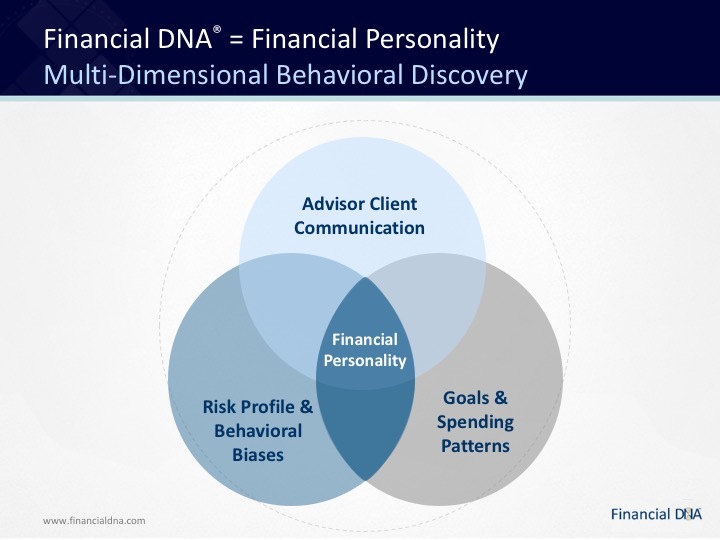 Identify your client’s natural instincts for making life and financial decisions. Reconcile the nature vs. nurture impact on life and financial decisions. Increase value with an enhanced view of your clients. Vanguard research shows that financial advisors can add 150 bps of value each year by behaviorally coaching their clients. 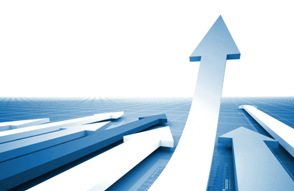 Aligning the right team member to clients improves productivity of your firm by 40%. 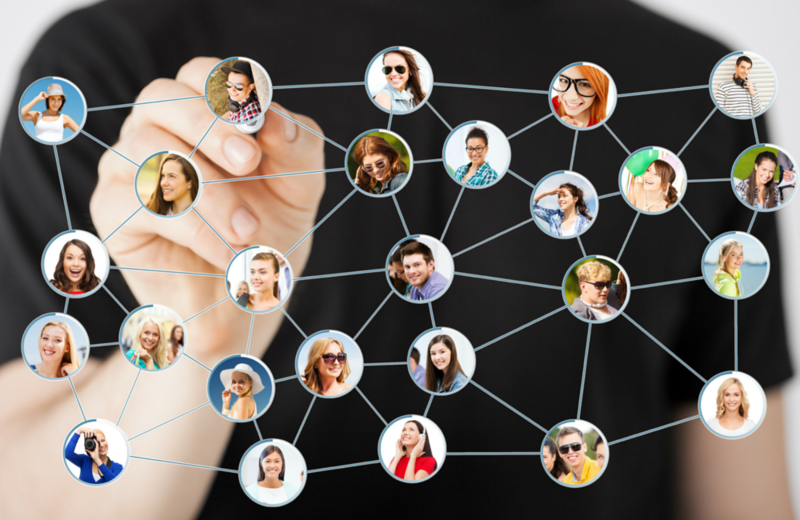 Retain clients and increase referrals. 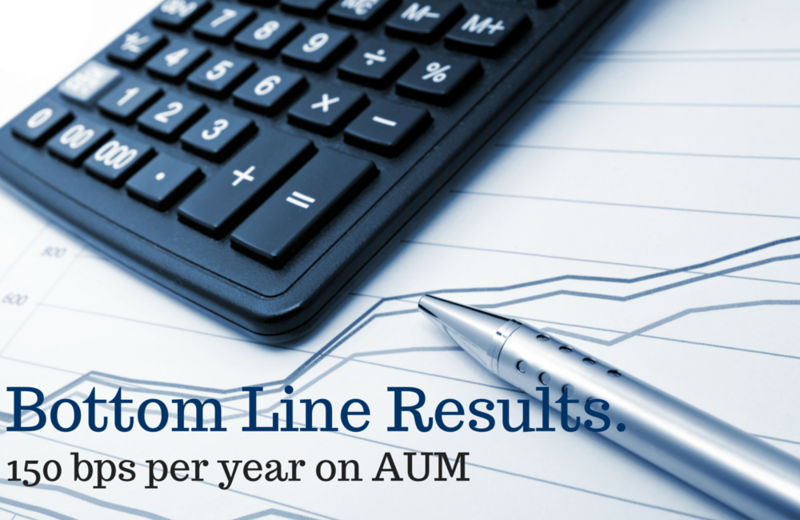 Boost revenue by 23% by integrating behavioral finance with financial planning. 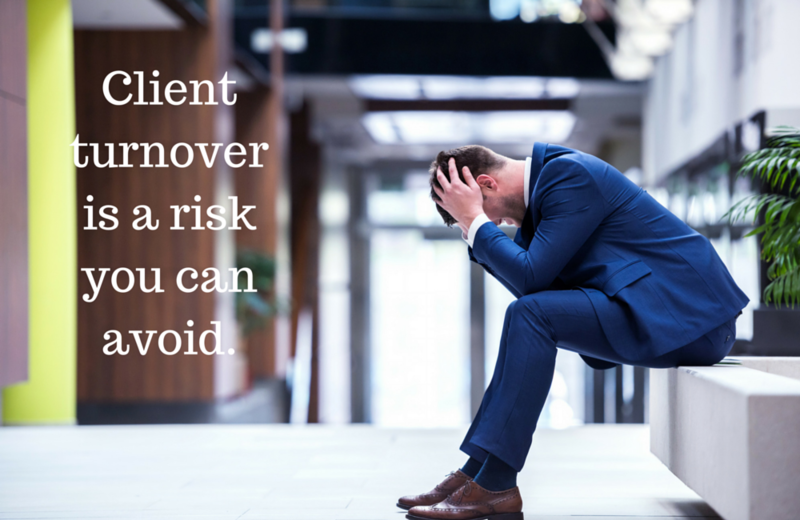 Client turnover is a risk. 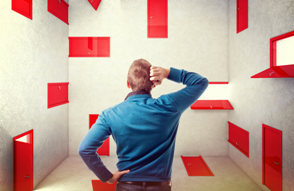 Miscommunication of goals leads 51% of clients to leave their advisor. 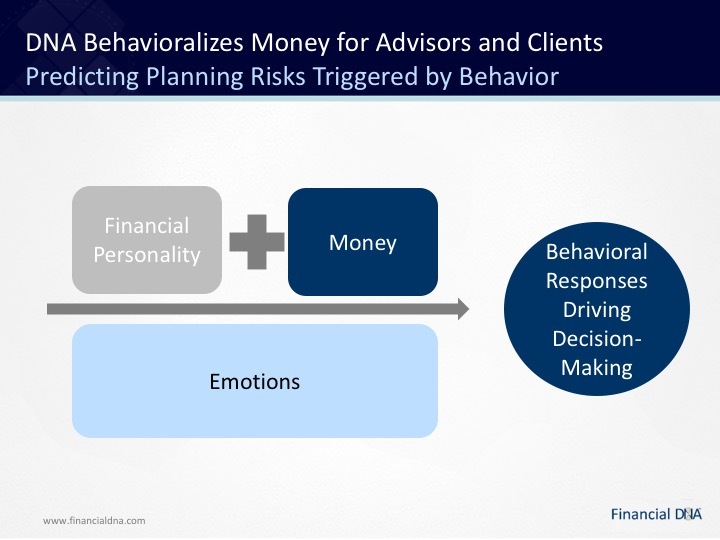 Behavioral finance “hedges your bet” by opening new avenues to understand your client’s financial personality. In market events, some clients react with exuberance, while others react with fear. 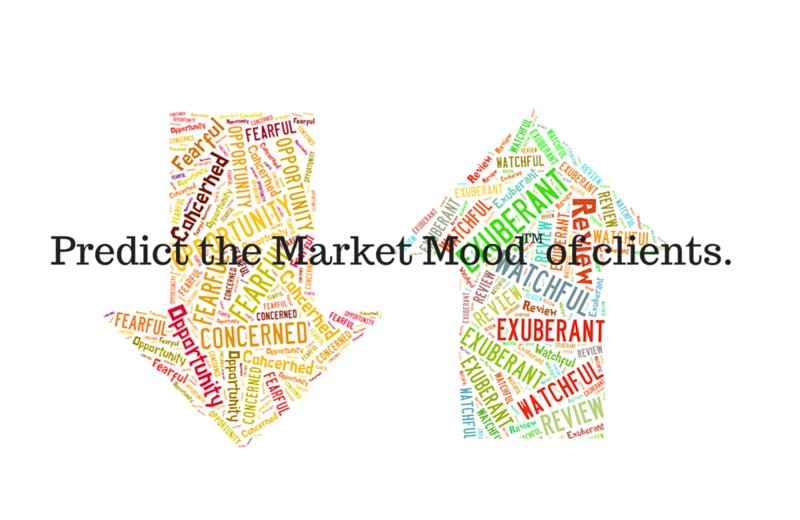 Market MoodTM: a real-time behavioral finance measurement of a client’s reaction to market movements. For the first time, advisors can predict the Market Mood of clients in real-time as the market changes. 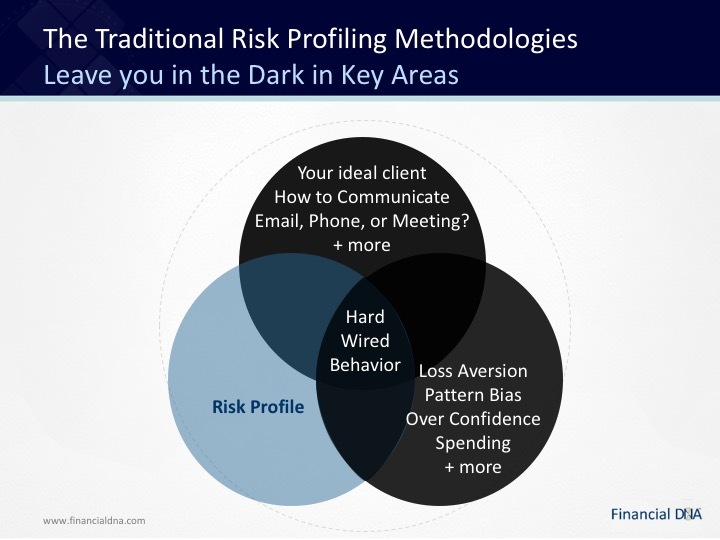 Market Mood puts customized communication keys at the advisor’s fingertips to be more proactive in taking action and managing clients’ behaviors. 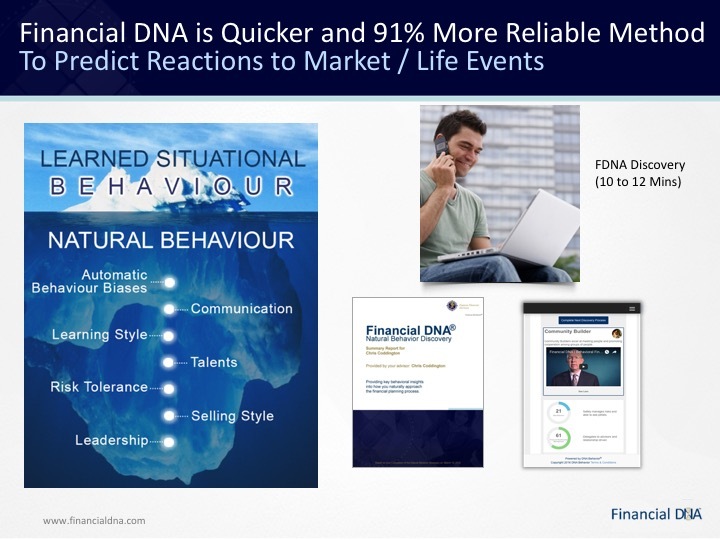 Three packages to Know, Engage, and Grow your clients with Financial DNA. Advisory office wishing identify the behavioral style, risk profile, behavioral biases, and talents of clients.